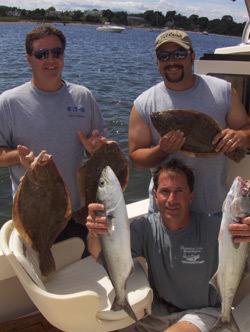 Cape Light Charters offers many different types of fishing from deep sea sport fishing to fresh water light tackle fishing. 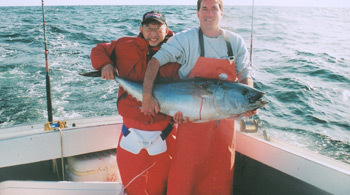 We are diversified in our fishing tactics, offering heavy tuna sticks, sporting gold penn 130 reels to light tackle fly fishing gear and everything else in between. Our strategy is to be open and resourceful to all types of fishing methods, not just "stuck in the same old way" like other charter campanies. 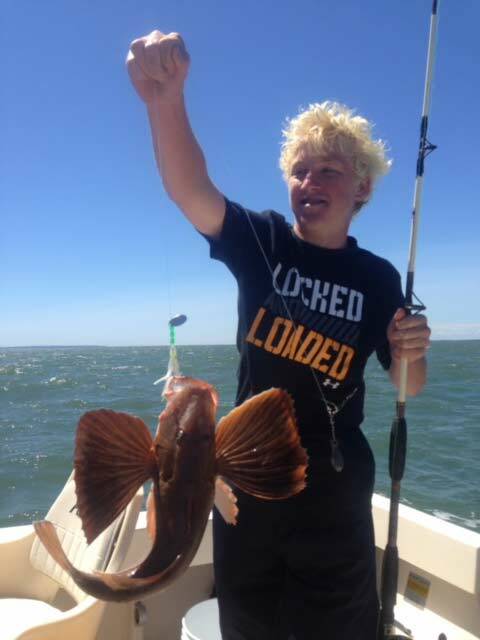 We encourage new fishing ideas because our goal at Cape Light Charters is to be at the top of our game which means having fun and enjoying a great day on the water of the Cape and the Islands. 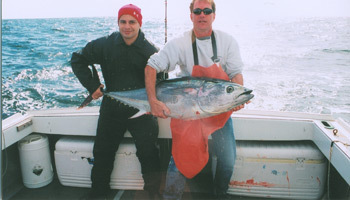 We typically ocean fish in Nantucket Sound, combing the shores and shoals of Martha's Vineyard and the Elizabeth Islands. 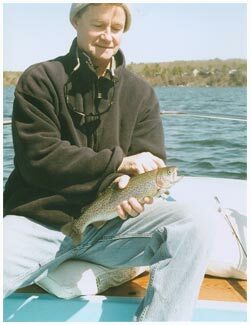 Our fresh water fishing trips will take you to some of the prettiest kettle ponds and lakes New England has to offer. So choose one of our favorite trips when you come to the Cape and Islands! 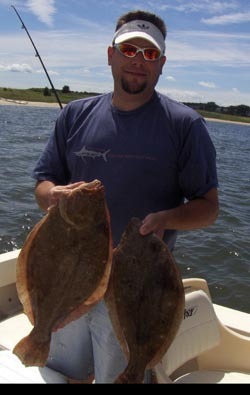 We typically ground fish for Fluke (Summer Flounder), Sea Bass and Scup. This will give you some great tasting table fare! Then we go for Striped Bass and Blue Fish for some fast action sport fishing! Full Day recommended. Perfect for couples or folks who would like to combine island fun with their fishing! We leave the dock not so early in the morning for some Kick-A Blue fishing at the horseshoe shoals, then cruise into Oak Bluffs Martha's Vineyard for brunch, cocktails,shopping, and whatever followed by a high speed boat ride home on a legendary 31 Bertram with twin turbo diesels!! Half Day recommended. 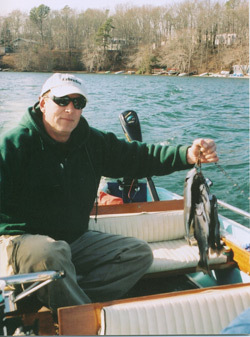 Start with Ocean fishing in the morning, lunch, then freshwater fishing in the afternoon! This charter is for the die-hard, type AAA, water obsessed, can't get enough fishin' fools! Or anyone who only has one day of vacation left after a rainy week! Full Day recommended.